Business networking events are great events for business owners, salespeople, and professionals of almost any industry. At networking events, you can meet other professionals and businesspeople who can become contacts for prospective business, referrals, or provide value in other ways. Although there are specific aspects to be aware of depending on the event you are attending, here are a few steps common to almost any networking event that will help you maximize your benefits and help you make a great impression. Prepared introduction or "elevator speech"
You want to have specific goals for the event. For example, if you are looking to add specific professionals to your centers-of-influence, you may want to have a goal like: "I will meet 5 people within the accounting industry and get their contact information." You may have several goals for an event, but try to make it specific and don't overreach. These goals should be tied into your overall plan for your business or career. However, during the actual event, don't be afraid to meet and converse with people even if they don't appear to fit into your goals. You never know who they know and it never hurts to make a favorable impression with anyone you meet. Make sure you look appropriate for the event. Are your shoes shined? Is your dress shirt pressed? Even if the event is casual, you still want to look your best. Besides your clothes, you may want to check your hair and make-up if you wear any. You may also want to brush your teeth. Make sure you have breath mints or gum with you as well as you may have some close encounters during the event. Business cards and sometimes other business material is also something you do not want to forget. However, it is important to remember (depending on the event) that you probably shouldn't be selling your particular product or service during these events. However, you should carry your business cards because it will provide something for your fellow networkers to remember you. If you have small pamphlets for your particular business that you can tuck away in a purse or in your suit pocket that may be suitable to bring as well. For many mixer-type events your business card will be the only thing you'll need. Remember to have a pen handy as well to write down any notes. Finally, having a prepared introduction will help you make a good impression and help you build confidence as you meet new contacts. A good introduction is simple and concise. For example, introducing your name and your position at your company can be said very simply: "Hi, I'm John Smith. I'm an account executive for ABC Corporation. It's nice to meet you." Although this seems fairly easy, it is important that you practice it to have it flow. Common mistakes include speaking to quickly (and having your conversation partner have you repeat your name) or saying too much without giving the person they're speaking to a chance to respond. Once you've covered these areas, you're ready to go to the event. You're at a networking event to meet new people. You may see other contacts that you know, but try not to spend too much time conversing with them, because the purpose of networking is to find connections with people with whom you don't already have a relationship. After your introductions with a new person, focus on learning about them and less on trying to tell them about you. People appreciate this and in general love to talk about themselves. Also, you will learn how you may be able to help them and perhaps how they may be able to help you. Some common questions you may want to ask them include how they got into the type of work they are in, what challenges they face in their industry, or how their specific business works (if it isn't obvious). Avoid controversial topics such as religion or politics. If you do know people, introduce new contacts to people you know. People love being introduced to new acquaintances. It shows that you value them and also may help them with a contact who may be valuable for their business as a center-of-influence or perhaps even a prospect. If you see that the people you've introduced hit it off and start their own conversation, it gives you an opportunity to excuse yourself and meet someone new as well. After you have a nice conversation with someone, you may want to share contact information. You can say something like, "I really enjoyed our conversation, do you have a business card? I'd love to have coffee with you sometime to continue our discussion of auto parts." If they give you their business card, it gives you an opportunity to share your business card with them. This exchange of contact information is a natural progression of the brief conversation you shared. After you depart, you may want to write a couple notes on the back of his business card so you may remember some specific details of your discussion with them. Even if you hit it off with someone you meet at a networking event, it is important not to monopolize their time. Perhaps spend 10-15 minutes with each person you meet. This may be extended if you have introduced them to someone and you are having a group conversation. Remember that they are there to meet contacts as well, and by showing respect for that will help make a good impression. Of course, you want to break off your conversation naturally and smoothly. For example, you might say something like, "I really enjoyed our conversation, we should continue it sometime. I'll let you go so you can meet other people and maybe we can meet for coffee sometime in the next couple weeks." Sometimes this is difficult to do, but if it is done naturally and you do intend to follow up in the future then I think you will find it to be very helpful. Finally, unless the event is specifically geared towards soliciting business, you usually should not be trying to sell your product or service at networking events. It may make people uncomfortable. In any case, discussion of your business should be general and if for some reason you run into a situation where a person could benefit from your product or service, you can perhaps mention that in future contact with that person. If you follow these suggestions, you should finish the event with several nice conversations and a few new contacts. First, it is very important to organize your contact information. If you received a few business cards, you should enter the information into your contact management system. 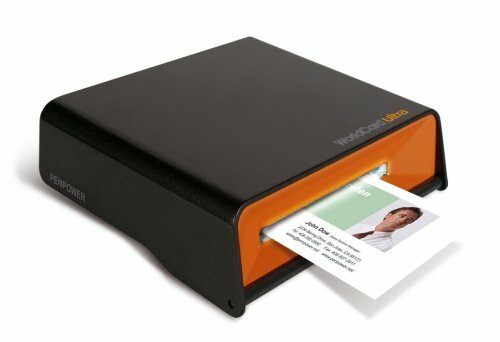 If you attend events often and collect many business cards, a business card scanner may be helpful. Make sure you don't just let the cards sit with a rubber band in the bottom of your desk drawer. It was great meeting you at the Chamber of Commerce mixer last night. I enjoyed learning about you and your business. I hope we can meet sometime perhaps for coffee and continue our conversation. People enjoy handwritten notes but e-mail is very effective as well. Finally, you may find that specific contacts may be very important to your business. Similarly, you may find that you can help out someone in their business. With these people, you should follow up with a phone call and schedule a meeting. Again, keep it simple and focus on the mutual benefit of a continued business relationship. By following these steps, you will find that your business relationships will increase dramatically from networking. Networking ultimately is about developing relationships of trust and confidence. Here are a few resources that I have found helpful in my networking endeavors. 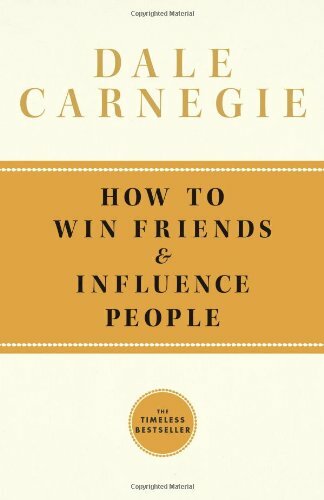 The first is the classic How to Win Friends and Influence People by Dale Carnegie. The information within this book is timeless. Some of the advice seems like common sense, but sometimes are not common practice. Those who master the advice in this book will benefit greatly and develop many profitable relationships. 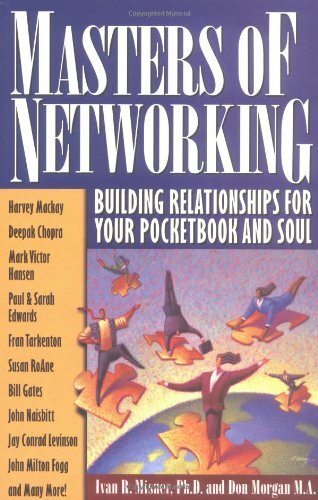 The second book is Masters of Networking: Building Relationships for Your Pocketbook and Soul by Ivan R. Misner and Don Morgan. This is a compilation of short articles about networking by some of the business industry's most prominent figures, such as harvey Mackay, Bill Gates, and Jay Conrad Levinson. In addition, I would recommend that people who are serious about communicating well look at Toastmasters. Toastmasters is an international communication and leadership training organization with chapters worldwide. It is relatively inexpensive and can help you learn to speak, listen, and lead more confidently in a friendly group setting. Dale Carnegie How to Win Friends and Influence People. New York: Simon and Schuster, 2009 (reissued). Ivan R. Misner and Don Morgan Masters of Networking: Building Relationships for your Pocketbook and Soul. Atlanta, GA: Bard Press, 2000.